I started Fisher Irrigation Systems back in 1985, repairing small sprinkler systems from the trunk of my car. I had no employees or advertising, and each repair was generated by “word of mouth” in the community. Grateful for each opportunity, I worked tirelessly to provide the best work for each individual client. Little did I know that these early lessons in “pride in workmanship” would shape our family business philosophy for future decades. 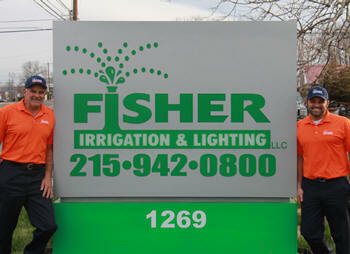 Fast forward thirty years — Fisher Irrigation and Lighting Systems is still a family owned and operated company. Many of our employees have been with us since those early days, and together we strive for excellence on your behalf every day. 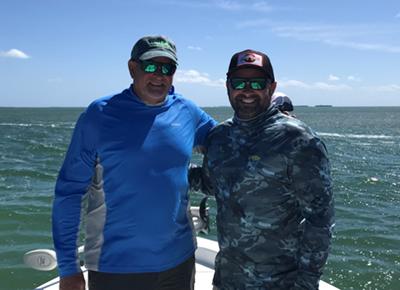 We have never forgotten where we came from, and each client opportunity is met with gratitude and our desire to provide you with the best possible product. Thank you for your interest in our company. Feel free to schedule a personal visit with myself or Jason Fisher to discuss your needs. We look forward to providing you with a positive experience in the near future and welcoming you into the Fisher Irrigation family! Thank you for your interest in our company, we look forward to working with you.